Hidden in the eastern Himalayas between India and China (Tibet), country covers 47ooo square kilometers (18147square miles) as big as Switzerland, but sparsely inhabited is the country of ht Thunder Dragon, Bhutan a unique and exotic destination. Bhutan forms a gigantic staircase from a narrow strips of the land in the south at an altitude of 300 meters? 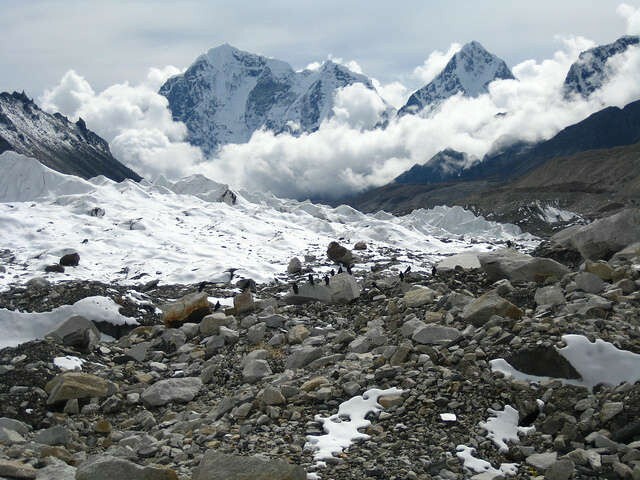 up to high Himalayan peaks in the north with an altitude over 7000meters. The mountains are magnificent, the forests are dense, the people are delightful, the air is pure, the architectures imposing, the religion exciting, the art superb. The beauty of the pastoral landscape can seem unreal to the travelers from the industrialized world: houses with brightly decorated window frames and shingled roofs, patchworks of green fields, plots of tawny buckwheat, oak forest, a covered bridge, fences of intricately woven bamboo, a man leaning on a wooden rail trampling his harvest, a women weaving in the open air, a baby laced into a horses saddle bag, yaks browsing in a grove of giants rhododendron. The name Bhutan appears to derive from the ancient Indian term Bhotanta, Which means the end of the land of the Bhots. Bhot was the Sanskrit term for Tibet, thus could mean the end of the land of Tibet. It could? ?also extend from the Sanskrit word Bhu Uttan or High Land. The Bhutanese themselves refer to their country as Druk Yul or land of the peaceful Dragon. No archaeological research has yet been carried out in Bhutan. But stone implements found on surface of the ground seem to indicate that country was inhabited fairly early, probably around 2000BC. Secular and religious history in Bhutan are so intertwined that religious school, the Durkpa, which prevailed from 17th century and even gave its name to the country it unified and its inhabitants. It is thus that in the Dzongkha language, Bhuan is called Durk Yul and the Bhutanese people Drukpas. Bhutan was not unified under a central authority until the 17th century; however, the religious presence in the country had been acting as a spiritual cohesion from many years, it was in 747 AD that Padma Sambhava who is known as Guru Rimpoche made his legendary trip from Tibet across the mountains flying on a tigers back. He arrived in the Paro villey at Takstang lakhang, Tigers Nest. A monastery now perches precariously on the cliffs face as a permanent memory to his name. Guru Rimpoche is the father of the tantric strain of Mahayana Buddhism practiced in Bhutan. Bhutan is the only country in the world where the tantric form of Mahayana Buddhism is the official state religion. Religion, tradition and ancestral customs constitute Bhutanese etiquette, the most visible elements of which are respect for all religious institutions and wearing of national dress Khos and Kiras.